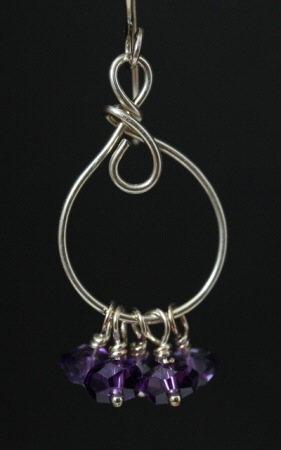 Amethyst, the birthstone for February, 6th wedding anniversary stone and astral stone for Pisces. Five amethyst stones dangle from each hand formed wire link. 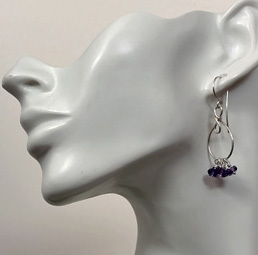 Beautifully faceted, intense, deep and evenly colored, a lovely accent to this otherwise simple earring design. Argentium wire is used. 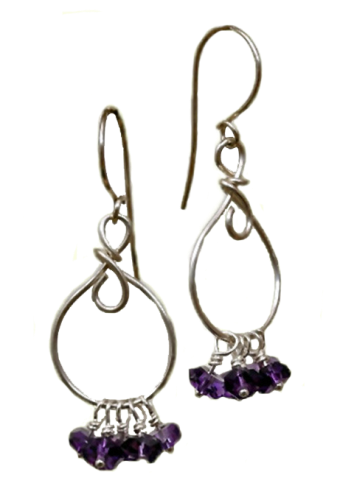 Earrings measure 2⅛ inches from top of earwire to bottom of dangle. Each weigh less than 0.1 oz.